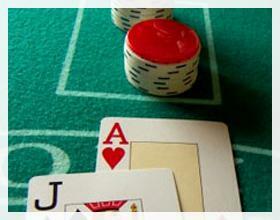 How Does Card Counting Help You in Blackjack? It is a fact that you need to be very clever and smart if you are into gambling. Otherwise, you will lose everything that you have including your ego. Expert players have different styles and approaches to win against the dealer of the house. These styles and techniques somehow helped them to win, but the common question is, “how is it going to help you to win?…Is it proven effective by real players?” One common game that is usually played is blackjack. Blackjack is one of the most popular games that make players rich or broke. It is more advantageous to smart players unlike other games like roulette, which is a good example where you only depend on luck. Since the game is all about cards, it can be affected if the player knows how to do the precise calculation. I can say that it’s a fair and manly game. Counting the cards is not easy, but it will help you make the decision on how you’re going to place your bet. According to several experts of the game, it gives the player 1 percent to 1.5 percent advantage of winning. The method involves counting the number of high cards left minus the low cards. Each card has corresponding values or points. The data can be gathered by paying to all of the thrown and remaining cards on the deck. Moreover, every thrown card means deduction to what the casino dealer has left on his deck. You need to be very observant and quick to calculate that numbers that you will be playing against. Don’t make your bet for the reason that you’re excited; instead, observe and look for your advantage first. Once you see that majority of the remaining cards are high in tens and aces that will be your go signal to play. The higher the value of the cards left, the more chances you have of winning. However, not all gambling games will give you the option to calculate the game to your advantage. Blackjack card counting, once mastered, will give you the bigger chances of winning against the banker. The thing is that the casino won’t just let you win their money for nothing. They also have other means to prevent you from doing your calculations effectively. You don’t need to be a genius to be good at this art. What you need is patience to learn as you won’t be good at it overnight. You need to keep your profile low and start throwing money at smaller amount. You can just blow your cover by jumping out of nowhere and throwing hundreds of dollars at the banker. Moreover, being a good card counter is not an assurance that you will succeed in the game. Be realistic. It won’t work like what you see in the movies. Aside from the fact that the trick needs more time and effort, you also need self-control and discipline when using it for your own advantage. Remember that if you’re doing your best to win, so is the dealer of the game, or the casino owner. Be confident of what you know and keep your cool while playing.